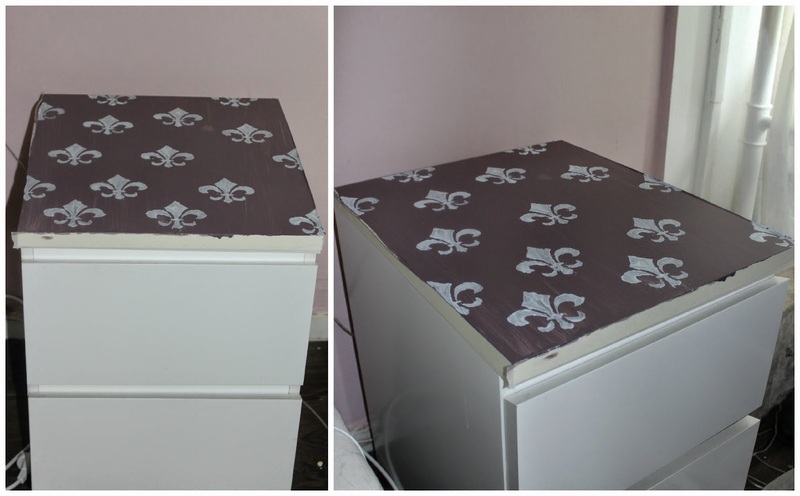 this week I have been working on a little DIY home décor project of my own. 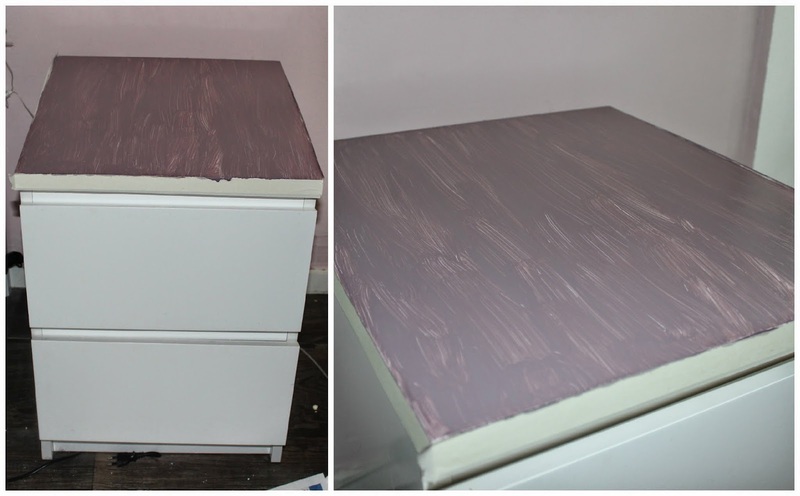 I painted my nightstands. 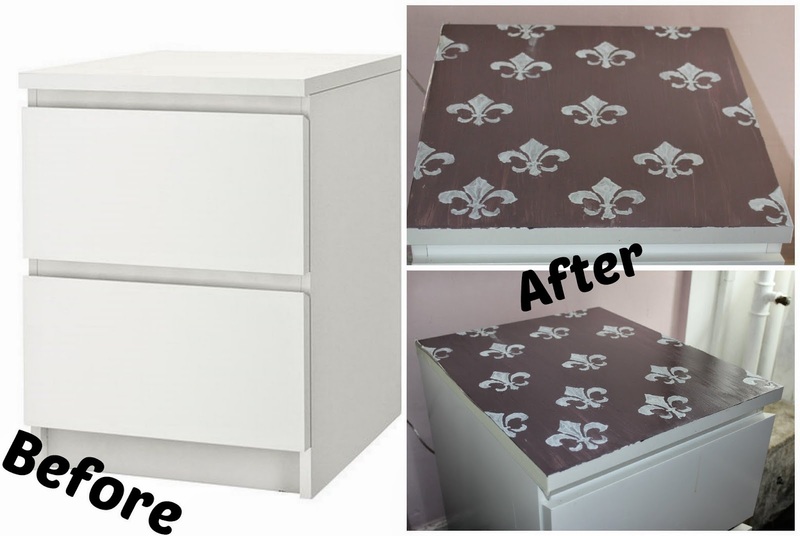 I started off with two boring white nightstands from IKEA and I turned them around in something sophisticated with a Fleur-de-lis patron. I started off with cleaning the part of the nightstand that I wanted to paint. I first used water and just some regular cleaning product. I used ammonia to ungreased the entire surface. I also taped the edges to prevent painting more than that I wanted to paint. 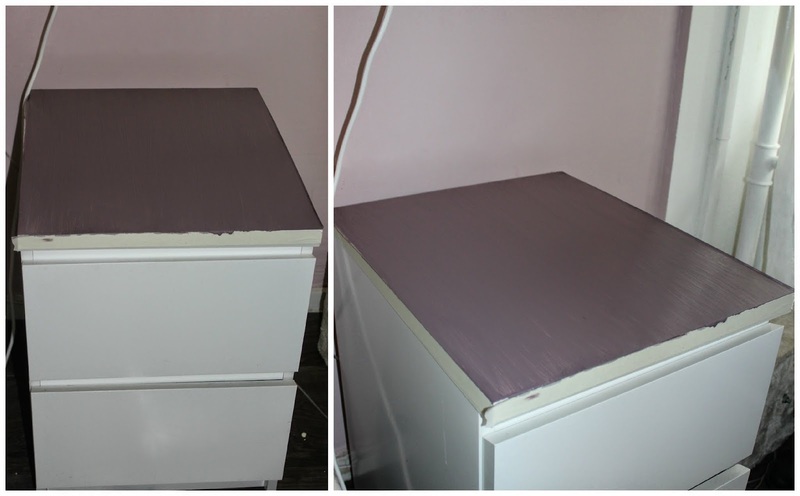 I than applied one coat of a Mauve coloured paint and let it dry. Before the first coat of paint was dry I applied a second but thicker layer. I waited a whole day for it to dry completely. Online I searched for the Fleur-de-lis patron that I wanted. 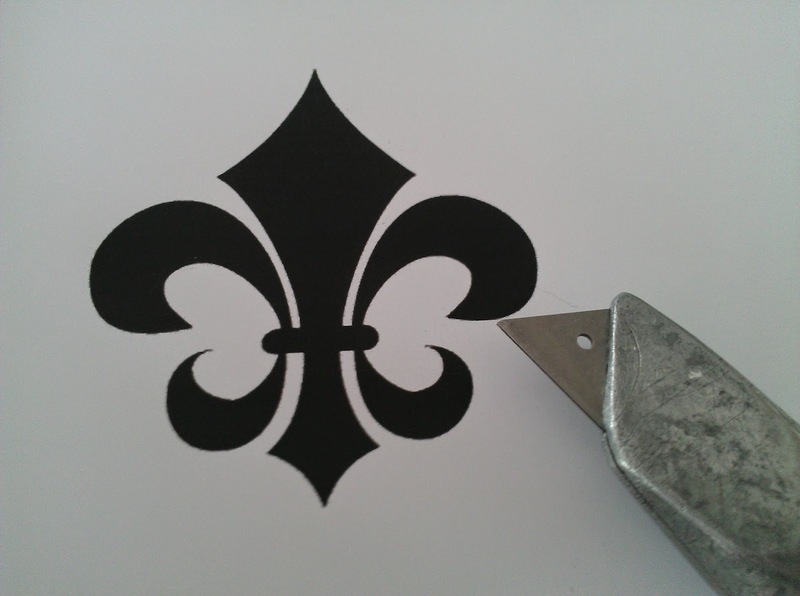 I printed on a thick paper and used a Stanley to cute out the inside of the Fleur-de-lis. Optional I applied on both sides see through tape and cute it out again just to make sure the paint doesn't get absorbed by the paper. 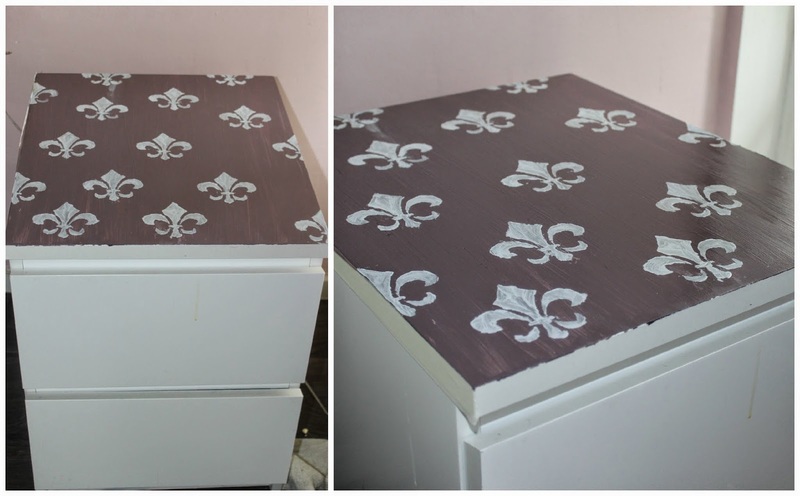 I than used an ice blue paint and painted the Fleur-de-lis on my nightstand. I let it dry for a couple of hours. Hindsight I would have recommend to wait longer. As the last step, I have a coated over the paint to protect it from damage. I waited a half day for it to dry before using my night stand again. if you want to see more!